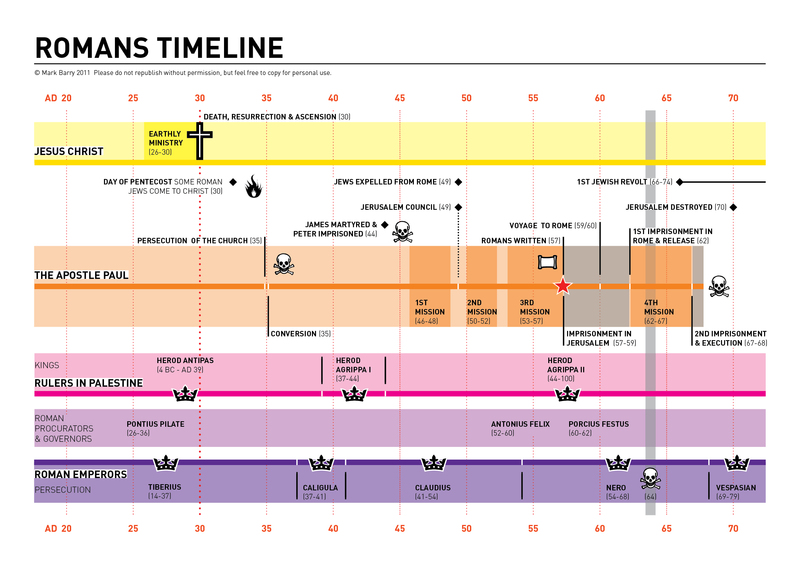 This entry was posted in English and tagged New Testament, Romans, timeline. Bookmark the permalink. your wok is superb ……….one of the best set of graphics I have ever seen. My I use your work on our screens and in our bulletin…..non of it will be sold or used for profit just simple Jesus stuff….. Thanks Jim. Yes – by all means use it for ‘Jesus stuff’!